The Guildhall Art Gallery houses the art collection of the City of London. It focuses on paintings of London and holds a renowned collection of nineteenth century works. 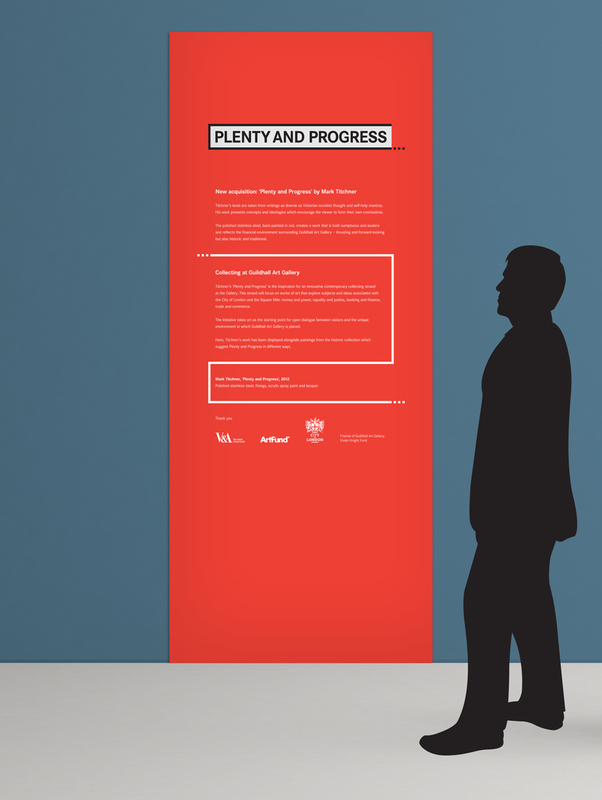 A recently-acquired work ‘Plenty and progress’ by contemporary artist, Mark Titchner, is the inspiration behind an innovative collecting strand that focuses on works of art that explore subject and ideas associated with the City of London – an initiative that takes art as a starting point for dialogue between visitors and the unique Guildhall Art Gallery environment. 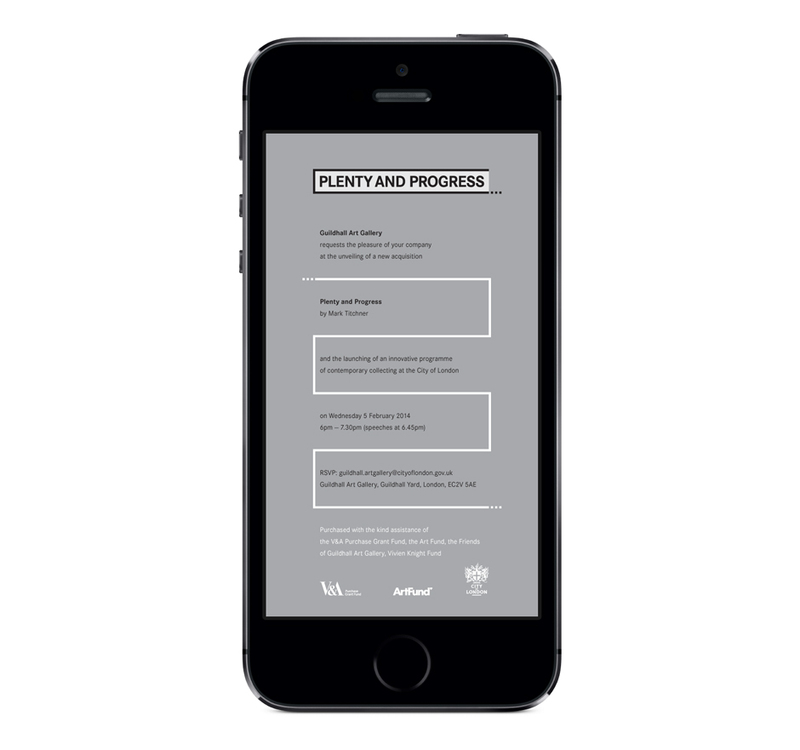 We were briefed to design the ‘Plenty and progress’ initiative’s visual identity, the launch invitation and the panel that was installed in the gallery space where Titcher’s ‘Plenty and progress’ was displayed in the company of paintings curated from the historic collection.